Efco's medium power petrol engine chainsaws are sufficiently compact for intensive use & compatible with frequent use. Ideal for working on farmland, woodland, as well as in the garden. 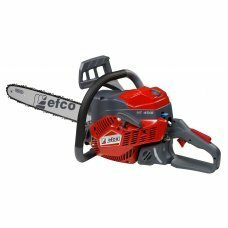 Excellent power-weight ratio guarantee optimal cutting performance in all types of applications, such as limbing, pruning & cutting of medium-size trunks.